Anye works in close collaboration with specialised foundries to produce precision casts using methods such as lost wax casting. 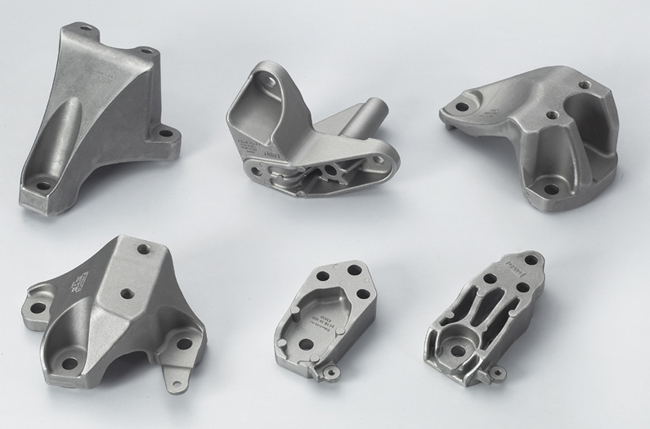 Their many years of experience in precision casting is a guarantee of extremely refined and efficient production methods and high-quality casting. We can also apply the finishing touches to cast ironwork under optimal conditions. Your precision cast ironwork can be made ready to use by means of heat treatment and mechanical end treatment, or through surface treatment methods such as electrolytic polishing, galvanising, chrome-plating and non-destructive testing. lost wax casting is highly suitable for the production of precision cast ironwork with complex shapes that require a high degree of accuracy. In addition, lost wax casting offers a lot of freedom in terms of design and choice of materials for your cast ironwork. The manufacturer makes a metal model in which wax negatives are formed. The casting system provides the wax parts with a ceramic coating. The ceramic models are then heated upside down in an oven, which allows the wax to flow out. Hence the name lost wax casting. The ‘lost wax’ is then recycled for further use. The heated moulds are sent to the foundry, where they are cast using the desired metal alloy. Precision casting can be used to produce cast ironwork with extremely precise tolerance levels. The cast ironwork complies with the VDG P 690 D1 tolerance standard. However, even more accurate tolerance levels can be achieved in the case of extremely refined precision cast ironwork. Using pre-formed ceramic cores it is possible to produce cast ironwork with almost unlimited possibilities in terms of internal profiles, channels and edging.